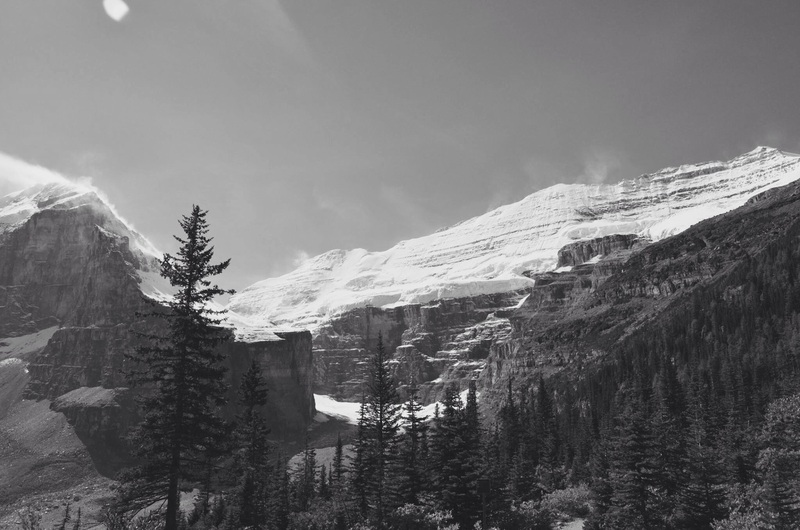 Today’s photograph is of Mount Victoria and the Victoria Glacier seen from near the Plain of Six Glaciers. This is one of my all time favourite hikes in Banff National Park, and I don’t think I could ever get tired of that view. It is such an inspiring place to be. As part of the challenge you nominate a blogger friend each day to join in and take part. So today I nominate Travels with Choppy who always have great adventures. I think that the photo cut out of Choppy that went to Hawaii was particularly cool, and is something I’ll have to do when I eventually get a dog! Beautiful! I love the snow blowing off the mountain tops! Nice! Would it have been worth cloning out the lens flare near the top?